The holiday print and digital campaign for NIKE Livestrong will feature professional triathlete and cancer survivor, Laurel Wassner, alongside seven-time Tour de France winner Lance Armstrong, World Champion runner Sanya Richards, major leaguer Jon Lester and other elite athletes who have been personally impacted by cancer. Wassner, the 2008 USA Pro Triathlon Rookie of the Year, has gained recognition as the first cancer survivor to earn status as a professional triathlete. 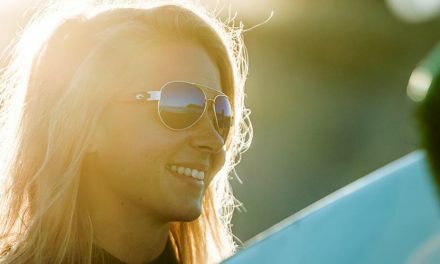 In 2009, she placed fourth in the Toyota Cup Lifetime Fitness Race Series and earned 6 top-five finishes in professional races. She and her twin sister, pro triathlete Rebeccah Wassner, race for the Ulman Cancer Fund’s Team Fight, which raises money to provide support and resources to young adults affected by cancer. The ads will run in December and January issues of ESPN, SELF, Shape, Glamour, Lucky, Teen Vogue alongside select online mediums across the prevalent holiday shopping window. Earlier this year, the Wassner twins were featured in a LIVESTRONG television commercial, prominently featured on ESPN and Versus during the Tour de France. The twins won a combined 17 triathlon races in 2008 and 2009.